Is to help our clients save on both money and time. We help our clients lay on hands on rolex replica watches High- replica handbags Resolution quality imaging on different kinds of materials, therefore giving them Value for money. XL graphics, one of Kuwaits premier producers of Large Format colour graphics, retail display, POS , replica Patek Philippe, exhibitions, stands and sign. Since its inception at the turn of the new millennium, XL Graphics has carved a niche for itself in the Graphics industry. Specializing in innovative designs, exhibition graphics and large format digital printing. 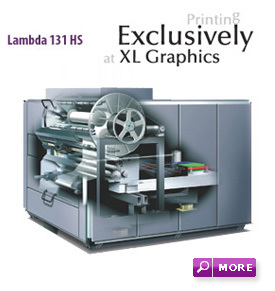 Our state-of-the- art digital print technology is one of the best in industry. Our expertise in conceptual designs, modern graphics and large format digital printing combined with state-of-the-art print technology gives us just that extra edge over our competitors.